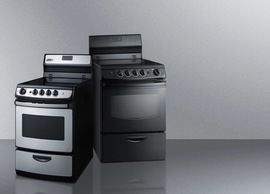 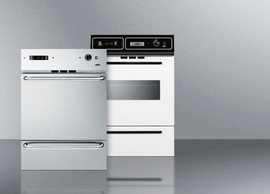 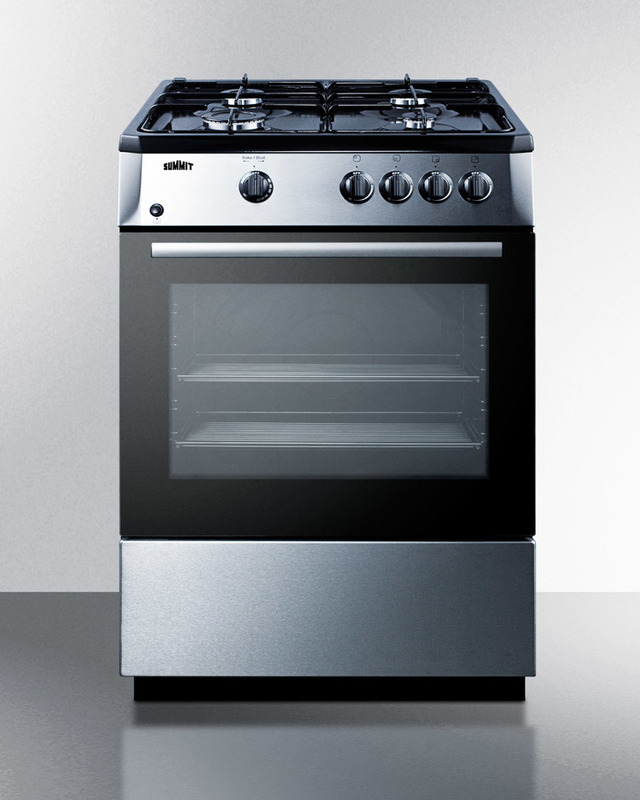 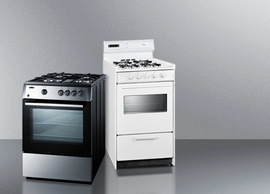 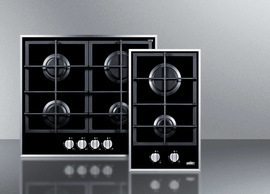 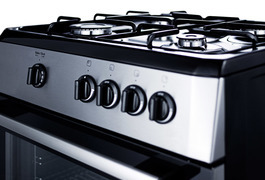 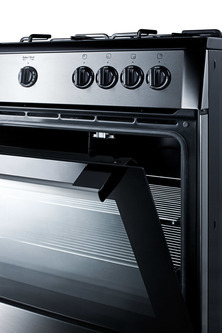 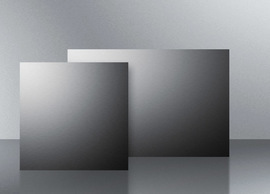 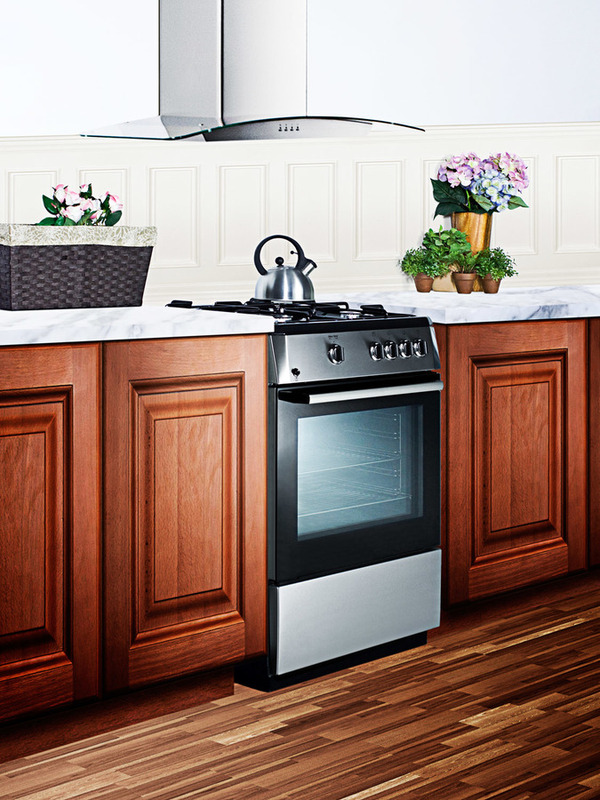 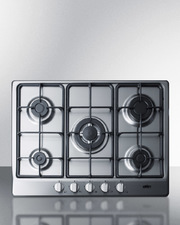 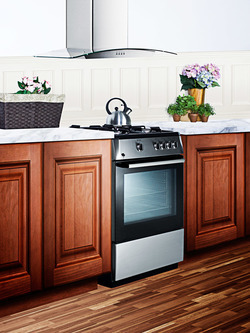 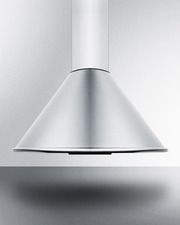 SUMMIT PRO24G is a 24" wide gas range with deluxe features and a unique European design. 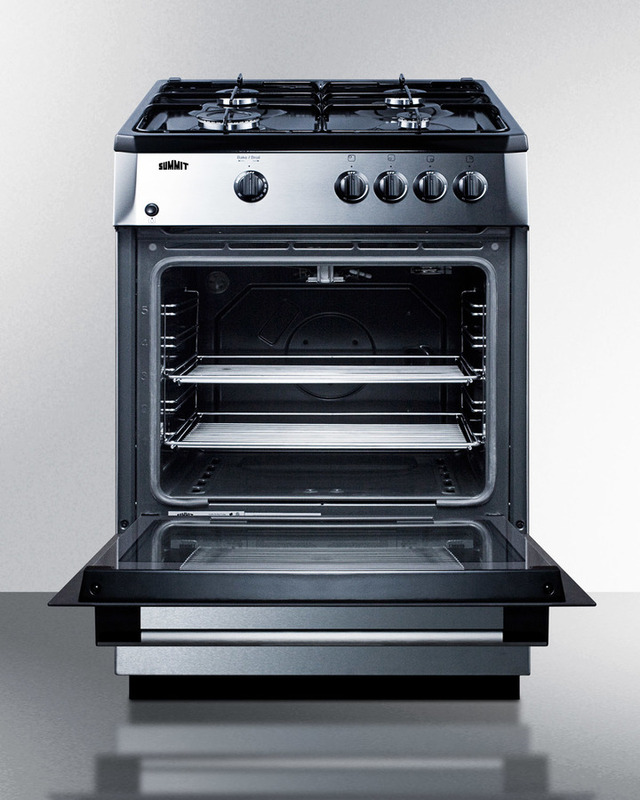 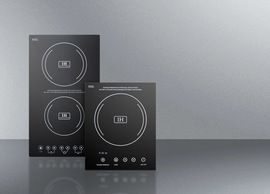 Designed and constructed in Europe, the PRO24G uses electronic ignition and includes four sealed Sabaf® burners, with a waist-high broiler located inside the oven for cooking convenience. 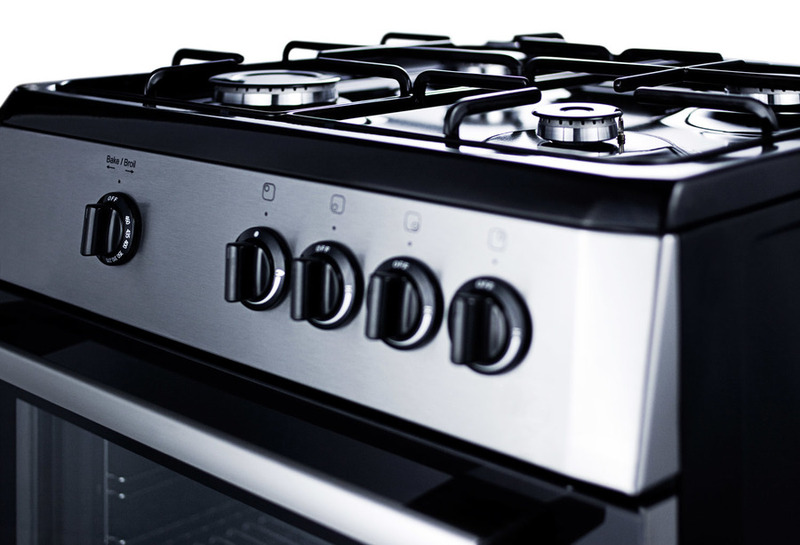 The cooking surface is jet black, with two sets of continuous grates in a matching finish and a curved stainless steel manifold for a modern look. 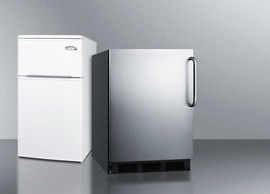 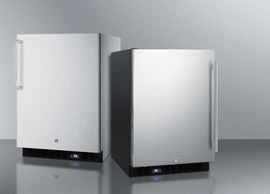 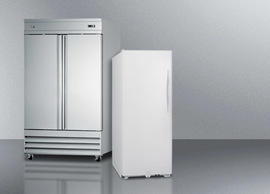 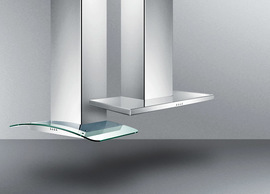 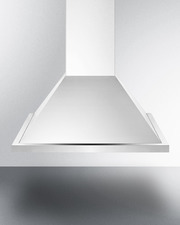 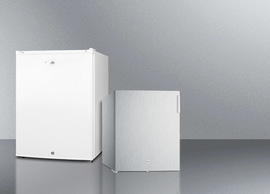 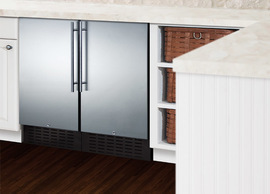 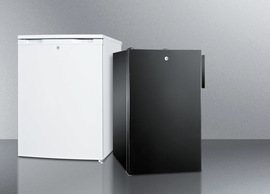 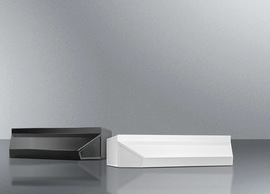 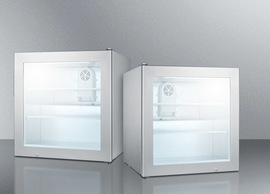 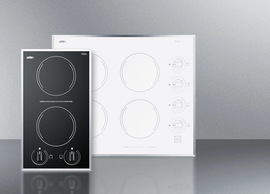 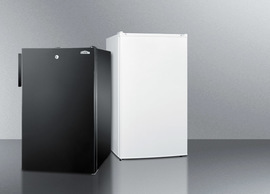 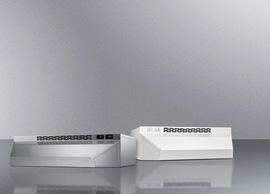 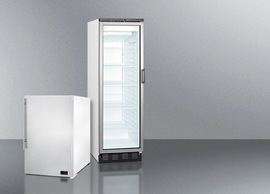 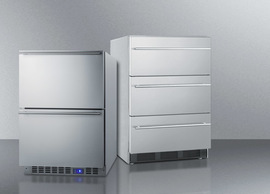 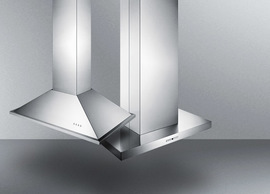 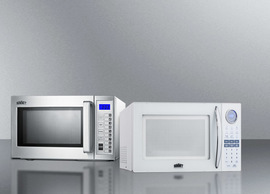 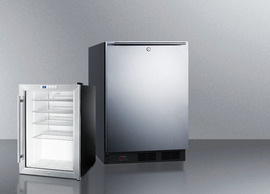 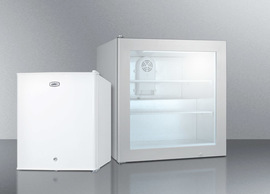 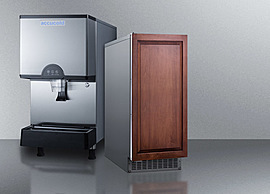 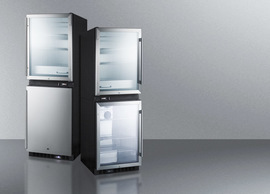 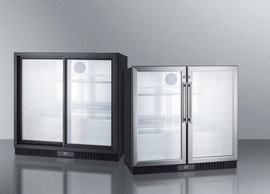 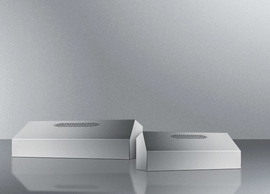 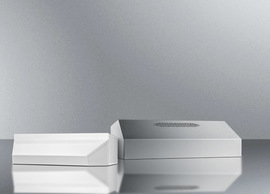 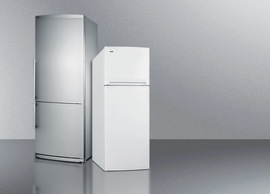 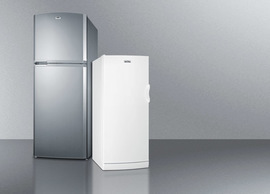 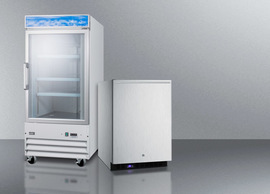 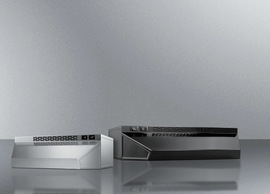 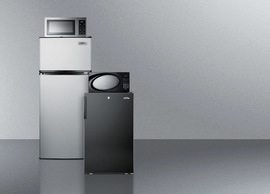 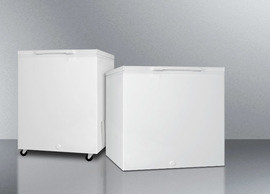 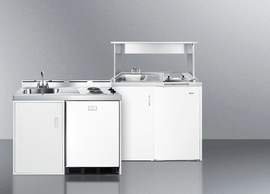 This 'slide-in' style range comes without a backguard, allowing you to integrate the unit into your own kitchen setup. 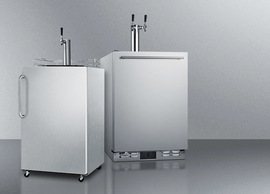 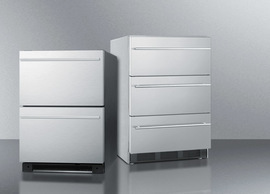 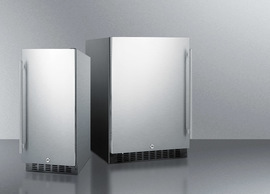 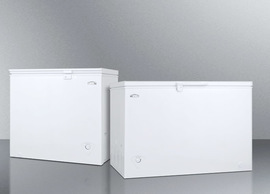 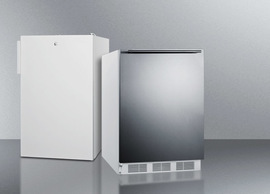 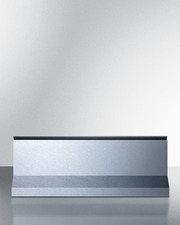 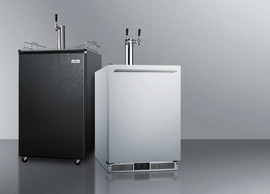 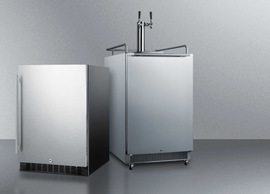 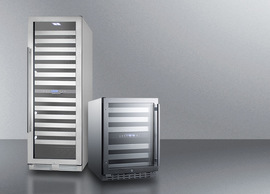 Alternatively, we offer a 10" high backguard in stainless steel as an accessory for this unit (some assembly required). 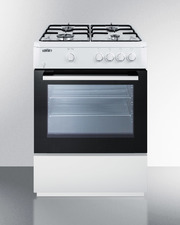 For this option, see the BG24. 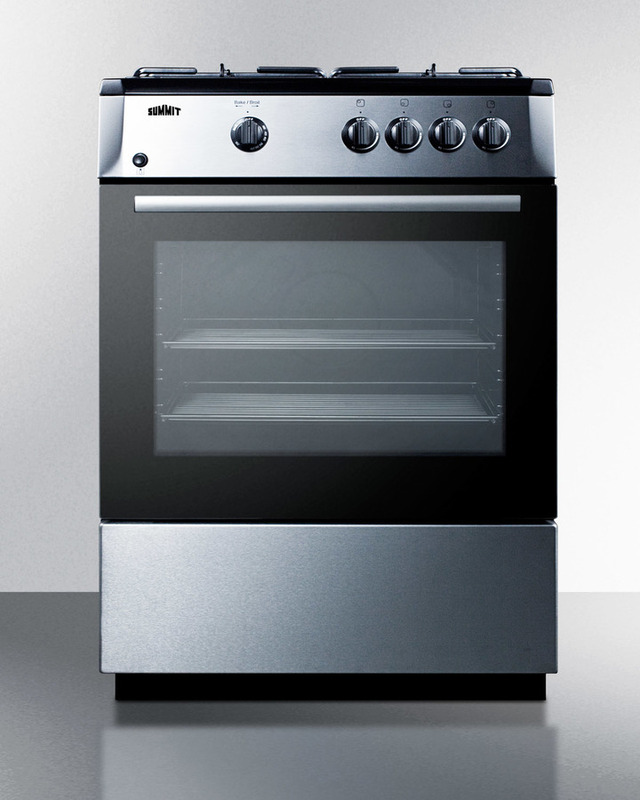 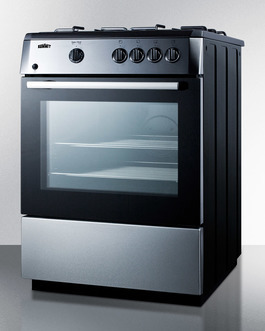 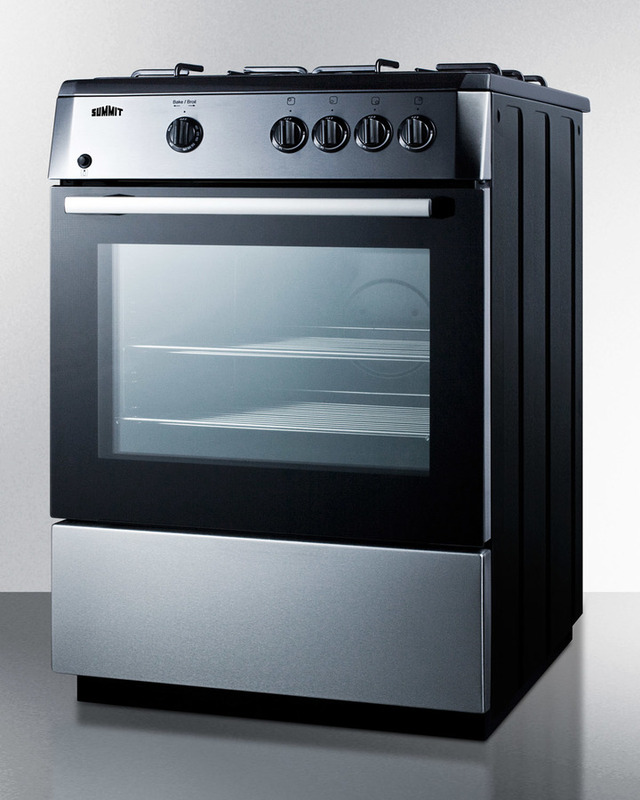 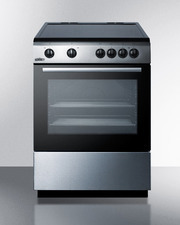 The PRO24G has a black trimmed oven door with a pro stainless steel handle and a window for easy monitoring. 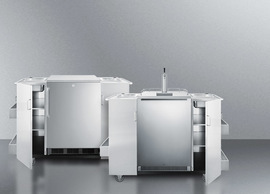 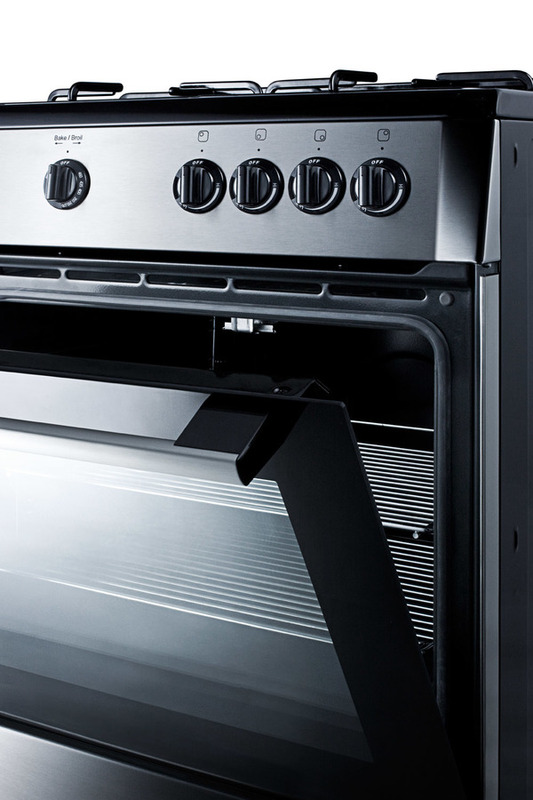 The oven includes a light and two slide-out racks with five positions to allow more flexibility in baking and broiling. 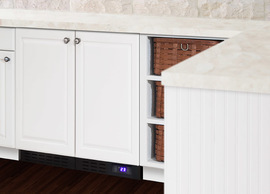 A drop-down storage compartment offers added convenience. 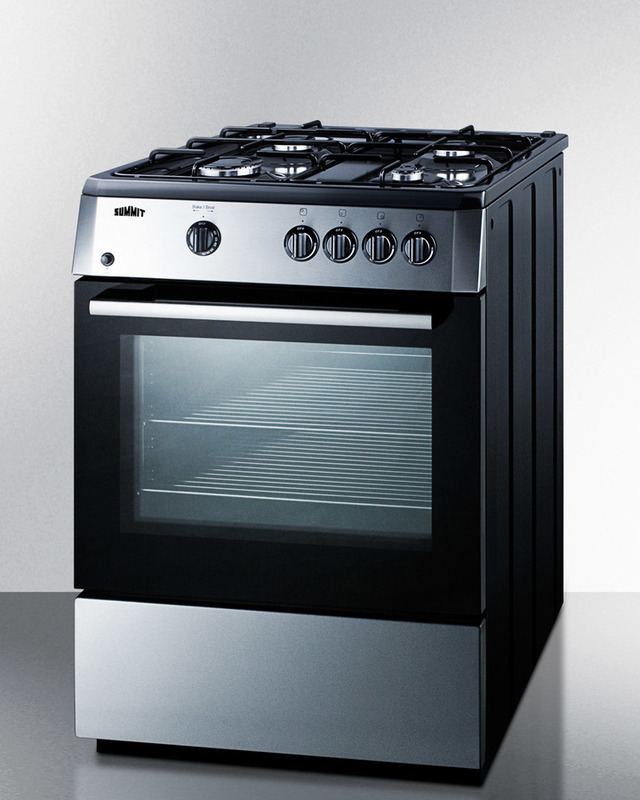 At 24" wide, the PRO24G is ideal for apartments and other small kitchens looking to add a touch of style in a slim-fitting size.